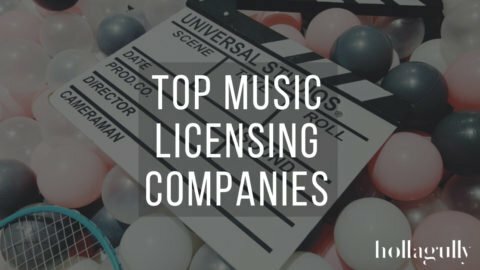 You’re producing music out of your home studio and are in search of the best studio headphones for the job. Something that will cover the applications you’re using them for without costing you an arm and a leg. Right? You’re looking for top notch results that accurately portray the integrity of your work so that it stands up to the best. Right? Then we’ve got you fully covered with a complete, in-depth buyers guide that will teach you everything you’ll need to know to make the right choice, at the right price. Within our buyers guide are eight models of studio headphones from top brands, ranging between $100-500 give-or-take, as they very often go on sale. 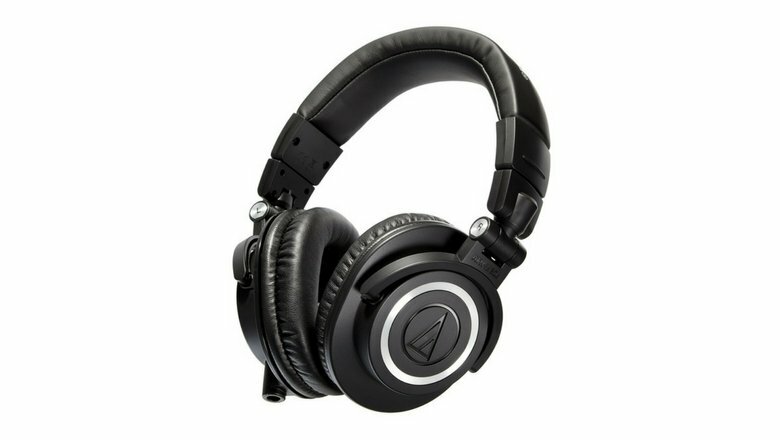 Many musicians love the Audio-Technica ATH-M50x as they are a studio workhorse that also perform well for everyday use. They are closed-back with an impressive amount of noise reduction and provide punch and sizzle that offer plenty of vibe for the tracking musician. Their frequency response of 15Hz-28kHz sounds lively and detailed. For a closed-back design they have a surprisingly wide soundstage, though not what you would get from an open-back pair of studio headphones. 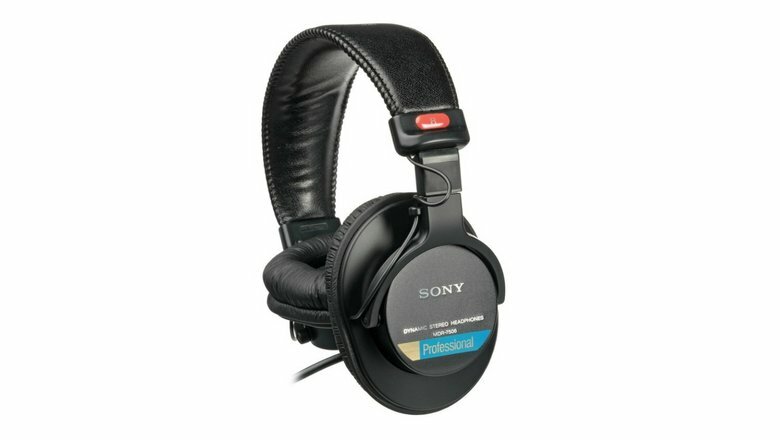 Audio professionals working in music, film, and broadcast media use the Sony MDR-7506 regularly and they are easily one of the most popular pairs of closed-back studio monitor headphones out there. They are an excellent choice for field recordings, podcasting, live sound, and for tracking instruments in the studio. This is due to several peaks in frequencies between 100Hz-2kHz where much common audio information resides. They have a wide frequency response of 10Hz-20kHz and an impedance of 63 ohms so they’ll drive quite nicely off anything. Engineers working with acoustic music will especially like the AKG K702 for their revealing soundstage and ability to sufficiently reproduce the tone that they work so hard to create. They have an open-back design and a wide frequency response of 10Hz-39.8kHz that is relatively flat with some brightness between 6kHz-20kHz that is revealing, making working with effects very simple. Beyerdynamic are a highly-trusted audio brand with many of professionals worldwide using their products to achieve world-class results. They are praised for their immaculate soundstage that allows for surgical stereo imaging and precise mixing. They have a very wide frequency response of 5Hz-35kHz that allow you to work effectively within the range of human hearing. The bass carries a lot of punch that is very workable and coherent with extremely low harmonic distortion. The soft velour padding is as comfortable as it looks and doesn’t trap as much heat as one would suspect. 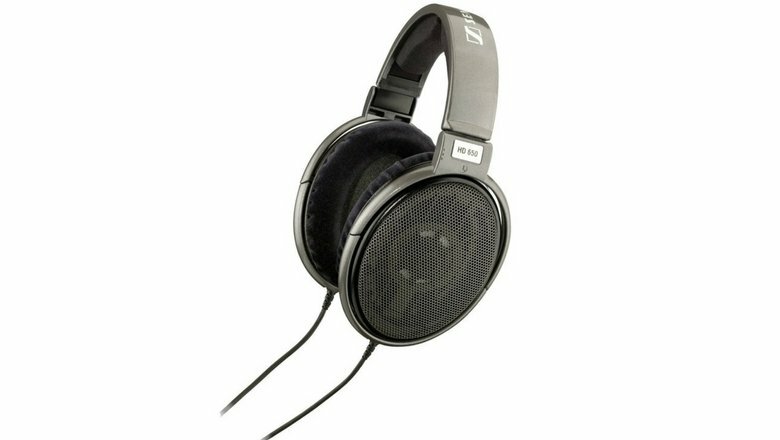 The Sennheiser HD 650 are one of the most popular pairs of studio headphones that are often the pair against which others are compared. People love these for their articulate low end, vast soundstage, and pristine clarity after many hours of use. They are non-fatiguing and ultimately highly revealing of every aspect of your mix. They have an open-back design and a frequency response of 10Hz-39.5kHz. The HD 650 fit and feel like a luxury product and certainly live up to their many years of praise. The Grado SR80e are a fantastic pair of consumer headphones that have found their way in many audio professionals toolkits for their expansive soundstage, incredible detail, and great price. We see them as a sort of hybrid between a studio reference monitor headphone and consumer-grade headphone which is an excellent way to be checking a mix. 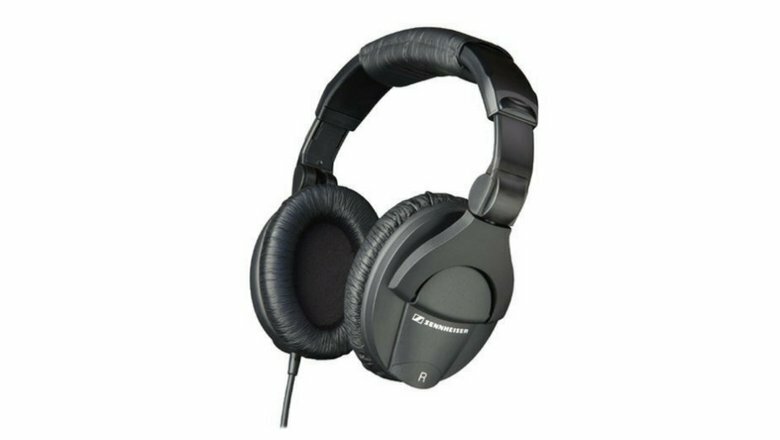 They are open-back, dynamic headphones that are easy to adjust and offer a distortion-free transient response across 20Hz-20kHz. 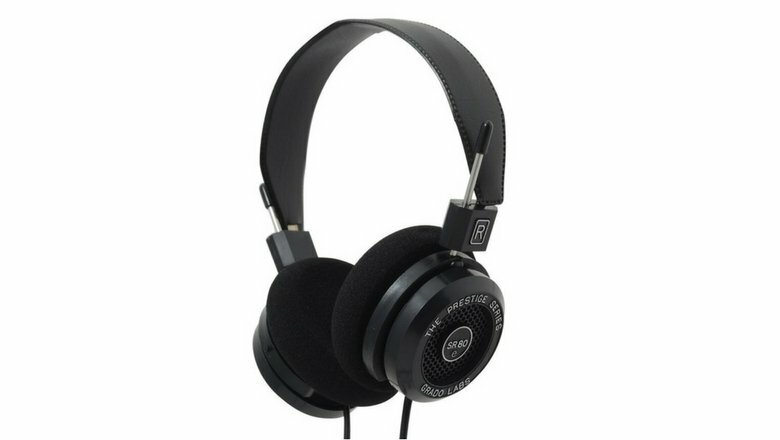 They offer a hearty low end free from any hyped bass and rich, detailed mids that the Grado line of headphones have become well-known for. Much more than a celebrity endorsement, the AKG Q 701 are a highly accurate pair of semi open-back studio monitor headphones designed for the studio engineer who requires a flat frequency response for post-production applications. They have a very wide frequency range of 10Hz-39.8kHz and a noticeably expansive soundstage, making them the perfect fit for any genre of music. The AKG Q 701 reveal tons of character and allow for precise fine-tuning and their low end allows for sculpting of lower frequencies. They’ve got an impedance of 62 ohms so they’ll produce plenty of volume on any playback device. The Sennheiser HD 380 PRO are an amazing closed-back choice for tracking in the studio as they’ve got 32dB of noise reduction. They have a strong sub bass response that provides tons of pump and the highs are clear and roll off up at the top. This makes them great for tracking at a loud volume without working about high frequencies bleeding into the mics. They’ve got a wide frequency response of 8Hz-27kHz, they are comfortable to wear and fit snug, they provide tons of vibe, and are totally affordable. Definitely a great pair to have around the studio. First of all, you’re going to have to consider all the applications you plan to use them for, and then decide what your priorities are. Why? Headphones are built with unique features that can make them optimal for one application but absolutely dreadful for another. Unfortunately, there isn’t one pair of (affordable) headphones that outshine all others for every studio application. So don’t start with the headphones; start with the application you need the headphones for. You might think that great sound is all that matters when deciding on a pair of headphones—but that’s really only scratching the surface. Are you planning some loud tracking sessions? Some live drums or loud guitars? Then perhaps more importantly you want to consider leakage and isolation. These things cannot become a problem if you’re looking to capture clean, workable audio. 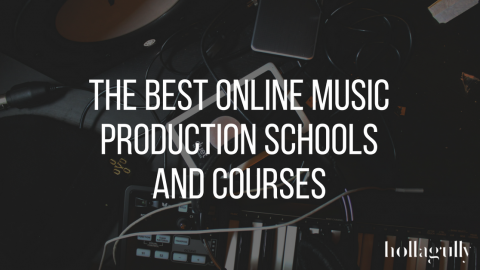 Are you working in sound design, post-production, mixing, or mastering? 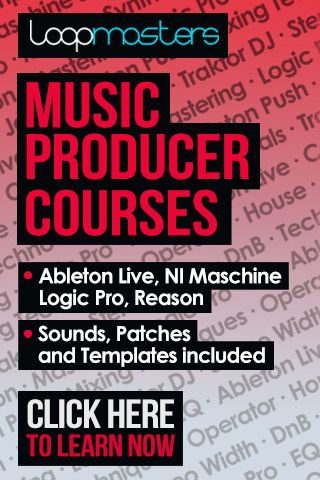 Are you going to be faced with deadlines, working for hours on end on surgical mixes for broadcast ready music? Then you’ll be more concerned with factors like sound stage, frequency response, and comfort. An open-back headphone implies that the design of the ear cup allows for more airflow, whereas a close-back headphone offers more isolation. A semi-open design sits somewhere between the two. Read on to learn what these terms mean in greater detail. These are generally regarded as the most natural and accurate sounding headphones out there; making them best-suited for critical listening. 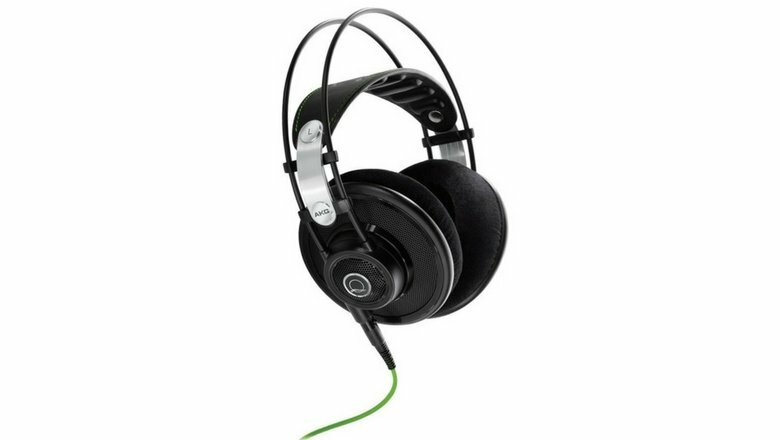 Open-back headphones typically provide a more accurate frequency response and a much larger soundstage. The design makes use of a transducer that is mounted in a space slightly away from the head and places a foam-filled enclosure that is often ventilated using slots or holes. Allowing some sound and air from outside means that they sound more natural to the listener, and refrain from colouring the sound the way that more isolating closed-back models do. However, this is a clear trade-off as it means they will leak of sound outside of the phones—a potential disaster for a heavy hitting drummer. Vocalists will often prefer the more natural sounding playback to sing along to, though it becomes highly problematic when performing along to a click track. Open-back headphones are optimal for referencing and surgical mixing. Things sound much wider overall with a natural brightness, though in comparison to closed-back headphones, sometimes lack a little something in the bass. They expose great detail of the audio and typically allow you to arrive at a more “sound“ decision for audio that translates well across all playback devices. We recommend open-back headphones with a flat frequency response and a deep low-end extension as to allow you to get a good grip on the low frequencies. More commonly used for monitoring during tracking are closed-back headphones. These tend to produce overall higher level as they more efficiently isolate the ear, preventing less sound from leaking into the room. Musicians love wearing closed-back headphones during the creative process because they typically offer a bigger bass reproduction and block out a lot of outside noise. 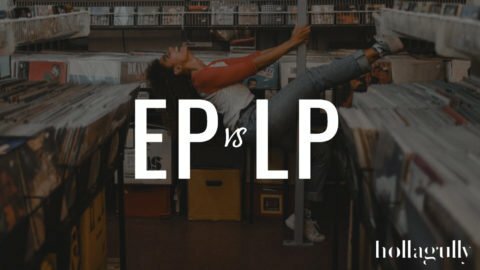 This encourages the listener to become consumed in the sound and get into a vibe. The problem, however, lies in the fact that the design traps pressure inside the ear cup, creating false low frequencies. Some models will hype these frequencies for this very reason, and while they may help draw a better performance from an artist, it certainly makes them far from ideal for critical listening applications. The soundscape from closed-backs will ultimately feel more artificial; leaving you enthralled in the music but serenely disillusioned as to what’s really going on under the hood. So if your mixes aren’t translating well across a variety of playback devices and you’re making decisions wearing a pair of closed-back headphones, you now know why. Frequency Range indicates the span of audio frequencies a speaker can reproduce. Frequency Response is the Frequency Range versus Amplitude. In other words, a certain input signal level may produce 100dB of output, but at that same input level, certain frequencies along the Frequency Range may actually produce more or less output than 100dB. This would show as a peak or a valley at a given frequency along the Frequency Response Curve (FRC) depicted on a Frequency Response Graph. You with me? Oftentimes, manufacturers of speakers or headphones “sweeten” certain frequencies, giving them a boost or a cut as to, for instance, enhance the bass to sound immediately enjoyable to the consumer market. For critical listening applications, you want to go for a pair of good studio headphones that have the flattest frequency response possible with the absolute least amount of sweetening. Frequencies are measured in Hertz (Hz). The generally accepted standard range of audible frequencies is 20 to 20,000 Hz, although this will vary from person to person and is greatly influenced by environmental factors. Any of the best studio headphones will have a frequency range that is well within or beyond said ranges, and actually extend quite a bit further than most pairs of studio monitors. This is why spending time with your music in various pairs of headphones of all levels of quality is simply just good practice. We are warned of the dangers of hearing loss with prolonged exposure to an SPL of more than 85dB. This is the volume of your common hair dryer or regular city traffic. 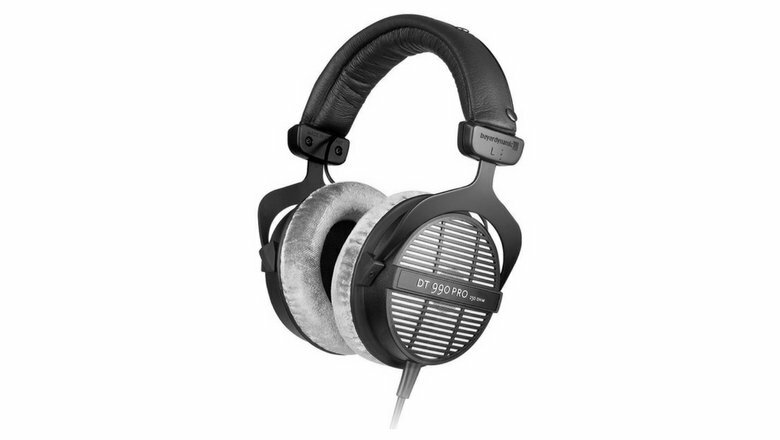 Common headphones are typically within the range of 85-120 dB SPL/mW. 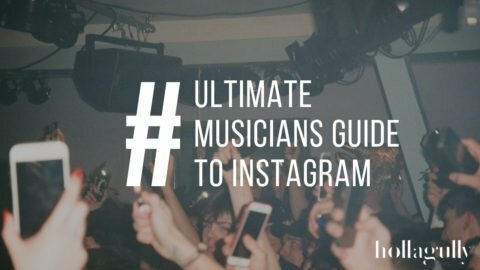 This is something to consider at your next band practice. Total harmonic distortion is a flaw in audio reproduction which degrades the music you listen to by generating frequencies that were not intended. Sound is produced by a vibrating diaphragm in the driver. At high volumes, if this diaphragm cannot vibrate fast enough, there will be a resulting distortion. THD is expressed as a percentage, and the lower the better. Most headphones have a THD of less than 1%, and high-end recording headphones have considerably less. This is a tough one to explain as it is a very technical measurement. In layman’s terms, impedance is a measure of electrical resistance and is displayed in Ohms. Low impedance headphones (less than 25 ohms) require little power to deliver high audio levels, and can produce a louder sound from a standard headphone jack. This means they work well on equipment with weak amplification and require less voltage to achieve a target sound pressure level or SPL. However, it also means that they are more susceptible to being blown when connecting to more powerful amplifiers. High impedance headphones (more than 25 ohms) require more power to deliver higher output levels. As a result, they are protected from damage caused by overloading, meaning they’ll have a longer lifespan and can be used with a wider range of audio equipment. With this information, you can accurately decide which type of studio headphone will be fit for the job at hand. For tracking live instruments with sensitive microphones, stick to closed-back headphones. For critical listening, go with open-back. In some cases it may simply come down to preference, which is often the case with singers. Do you have a soft voice? Do you sing to a click? Do you require a loud playback? Questions like this will help you make a logical decision. Well that about wraps up our studio headphone buying guide. Is there anything you feel we have missed? 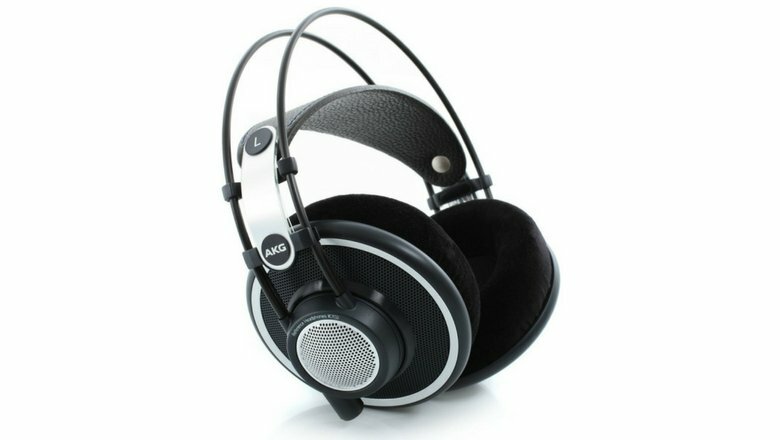 What are your favourite headphones for music production? Are you using these headphones for mixing? Sound design? Let us know what’s working for you in the comments below.